Cauliflower is a delicious alternative to potatoes. 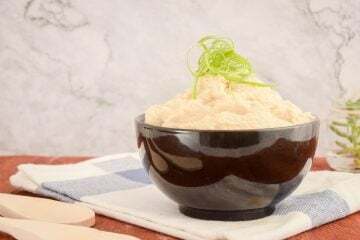 This keto cheesy cauliflower mash is the perfect cheesy side dish for any number of meals! 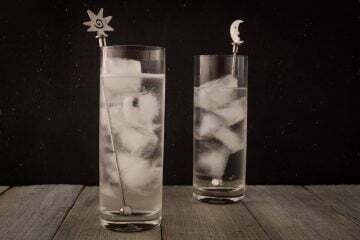 A nice cold and refreshing low-carb vodka and sprite is a delicious drink. This recipe is perfect for anyone, low-carb or not! These keto chorizo stuffed mushrooms are a wonderful appetizer or side dish. They are super easy to make and perfect for any meal! All of the deliciousness of a normal strawberry pretzel salad without the carbs! This keto strawberry pretzel salad is sweet and awesome! This keto garlic chicken and broccoli recipe is chock full of deliciousness! It combines cheese, chicken, garlic, and broccoli into a super yummy dish! Summer is here and that means cookouts! This keto coleslaw dressing tastes better than the variety from the grocery store, but has almost zero carbs! There’s no better delicious and quick snack than keto jalapeno marinated mozzarella. Cheesy, spicy, and incredibly yummy! This low-carb cranberry vodka spritzer is a wonderfully refreshing drink for any time of the year. It’s light, bubbly, and delicious!